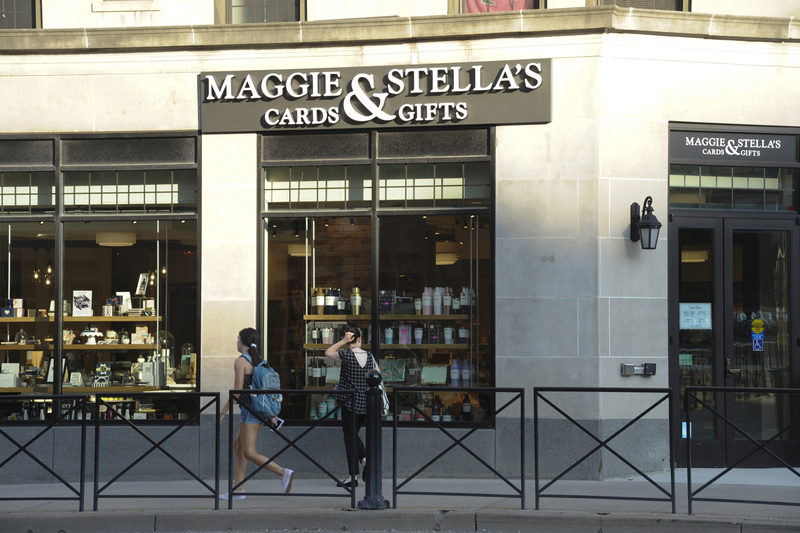 Maggie & Stella’s cards and gifts relocated to Oakland Bakery’s former location on Fifth Avenue this summer. 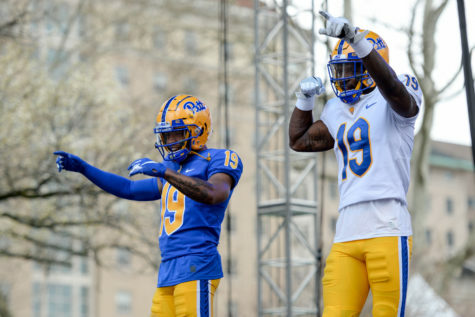 For the grand re-opening of the 12-year-old card and gift store Maggie and Stella’s on campus Friday, Pitt hired a DJ and parked its new Sodexo-owned food truck in the quad while administrators gathered around. Past that — in the middle of the quad — a group of students gathered holding signs reading “Transparency Please” and “Living conditions and Learning conditions.” These protestors attended the reopening to protest what they saw as Pitt prioritizing a gift shop over the forthcoming University-owned grocery store. Zuri Kent-Smith, a senior Africana Studies and philosophy major who served as executive vice president on last year’s Student Government Board, said he organized Friday’s noontime protest because University administrators ignored students’ voices — something he thinks is a pattern. Kent-Smith was referring to Oakland Bakery, which until last year was in the current Maggie and Stella’s storefront on Fifth Avenue. 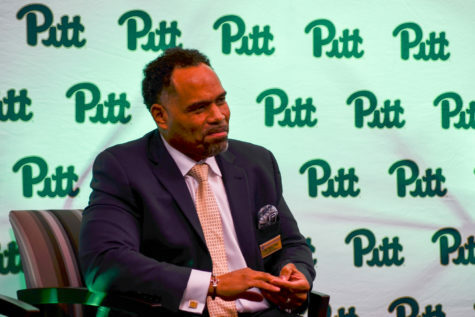 Pitt plans to incorporate the bakery into the upcoming grocery store on Forbes Avenue, which is set to open by Nov. 1 — two months later than originally planned. Oakland had a grocery store up until April 2017 — IGA, an international franchise, had a branch by the name of “The Market on Forbes” on Forbes Avenue. The owner, Ron Levick, said his store had to close due to competition with other larger grocery stores. “My store was only 5,000 square feet. You can go to Giant Eagle in the Market District and there’s 100,000 square feet. 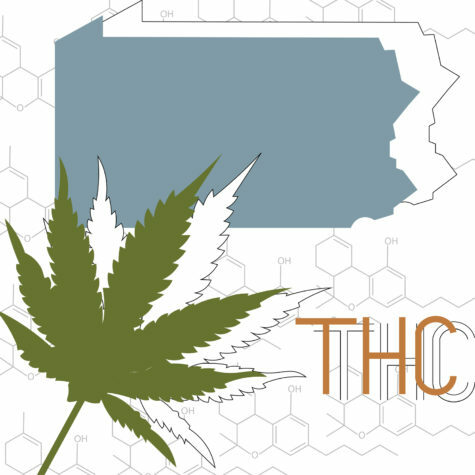 I can’t compete,” Levick said in an interview last year with The Pitt News. When Levick closed the store, the nearest groceries were all outside of Oakland — meaning students were left with no full-service grocery options within walking distance. 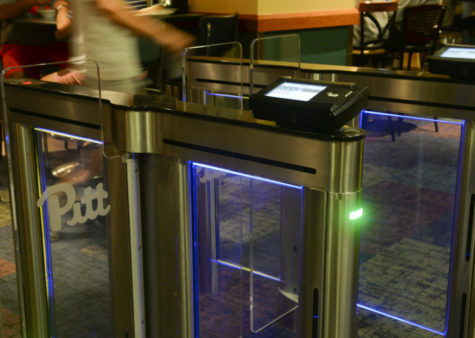 Pitt recognized this, according to Jim Earle, Pitt’s assistant vice chancellor for business who is overseeing the creation of the University grocery store. “There’s no grocery stores in Oakland because they can’t afford to make money,” Earle said at the reopening event and the protest. 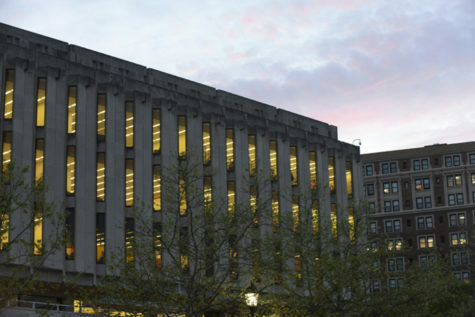 The planned Pitt grocery store will be called the “Forbes Street Market: Grocery and Deli” and will accept Dining Dollars, Panther Funds, cash, credit and debit. The store will sell fresh produce, deli products, dairy, bakery products and vegetarian, vegan and kosher options, according to Student Government President Maggie Kennedy. In a Facebook post the night before the protest, Kennedy explained in a statement unrelated to SGB and based upon conversation with Earle that the construction of the grocery store and the construction of Maggie and Stella’s are separate projects being carried out by different contractors. She said the gift shop was never intended to be finished first and noted that Maggie and Stella’s is a private business that the University does not profit from. “I agree that Oakland has been a food desert for too long now and I agree, there are real concerns regarding college student food insecurity. I also wish the University Grocery Store could have been ready sooner, but unfortunately construction projects often have to adapt to unforeseen challenges,” she wrote. Earle confirmed that Pitt owns Maggie and Stella’s, but said it is run as a break-even operation. He hopes the grocery store will profit, but thinks Pitt is taking a risk in opening it. 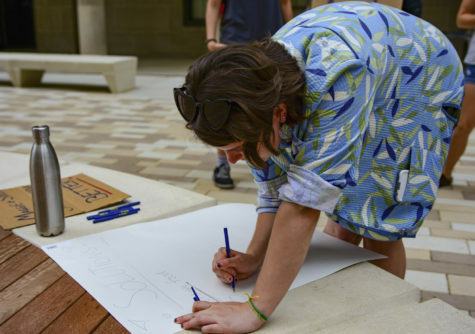 Students gathered in Schenley Quad Friday morning and wrote solutions to their complaints that the University opened Maggie & Stella’s before the proposed grocery store. “We’re doing it for the students, we’re taking a risk … and yet our students seem to think we’re perpetually delaying the grocery,” Earle said. Maura Deely, an environmental science major, said she came to the protest because she wanted to put pressure on Pitt so that they would take measures to actively listen to students. She was both against the installation of Maggie and Stella’s as well as it opening before the grocery store. 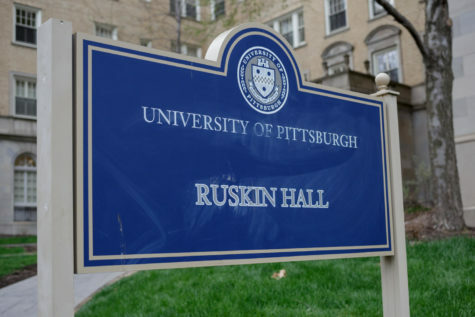 Anais Peterson, a junior urban studies major who formerly worked as a columnist for The Pitt News, came because she wants the University to be more transparent in its proceedings and wants students to have easy access to affordable food, although she insisted she should not have to speak up about this. 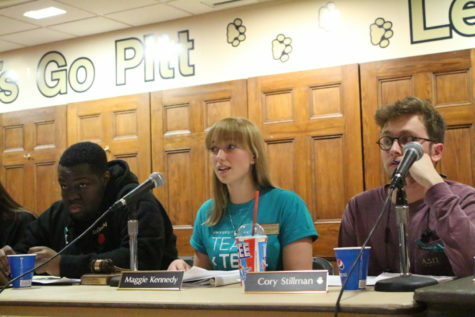 “I feel really strongly that it’s not our responsibility to make Pitt work, to make Pitt change. 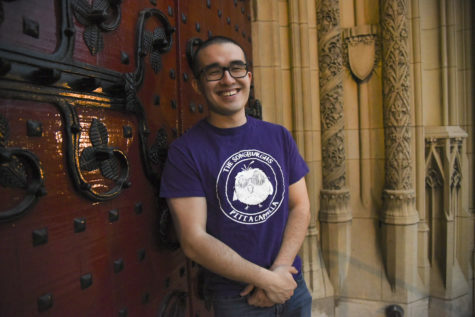 We are the reason Pitt exists, it’s for students, but we shouldn’t have to come out here and be like ‘This is what you should be doing, this is how you make the University better,’ it’s their job to take care of us, not our job to monitor them,” she said. Earle acknowledged the students’ concerns about the grocery store’s delay and hopes the delay will be worth it. “I hope they’re going to love it when it’s open,” he said. Kent-Smith encouraged attendees at the rally to reach out to administrators, come to Board of Trustees meetings and do whatever they can to make their voices heard and insist upon open and frequent communication between the administration and students. 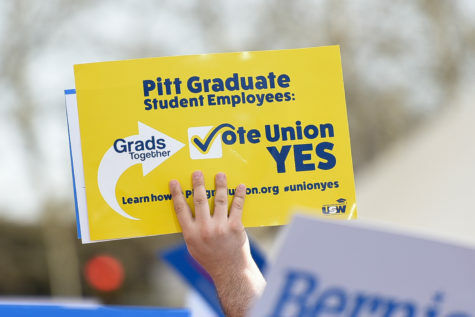 “Without students, there would be no Pitt. 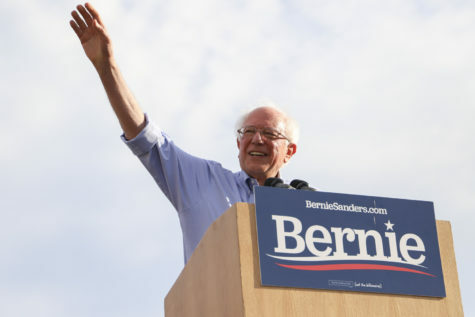 Without students, administrators would have no jobs,” he said. Joanna Li and Caroline Bourque contributed reporting.